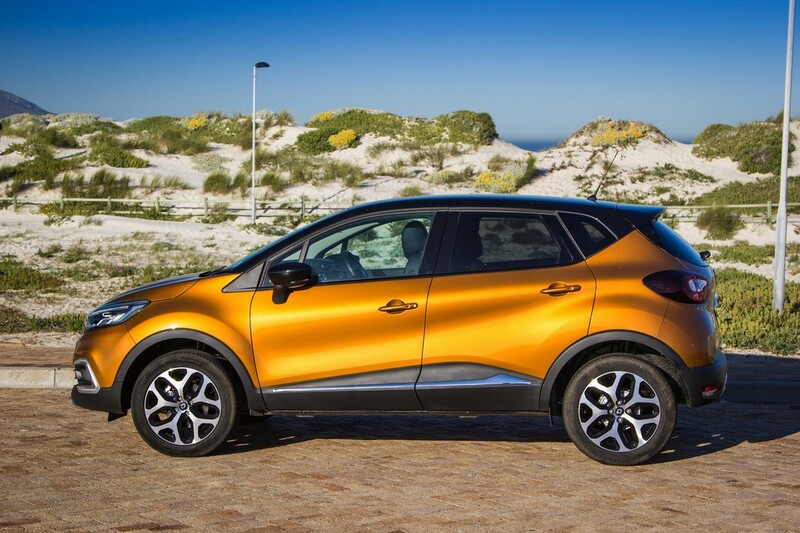 Renault has facelifted its popular Captur and it appears not much has changed other than the introduction of some aesthetic tweaks to bring the 2017/18 #CarsAwards category finalist in line with the rest of the French marque's products. 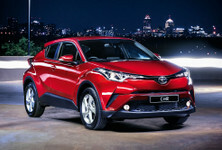 Does this new-look model carry on in the same vein as its predecessor, or should you be looking elsewhere? The 2016/17 #CarsAwards winner: The Suzuki Vitara is a tough act to follow. 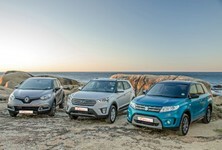 Thanks to a combination of admirable build quality, good comfort and practicality, plus Suzuki's stellar reputation for after-sales excellence, the Vitara is a popular choice. It is, however, outgunned in terms of on-road performance and specification stakes by the Renault Captur, plus the 1.6-litre petrol's not as frugal. Go Korean: The popular Hyundai Creta has made quite a name for itself. A turbodiesel model is available but comes in at a hefty premium compared to the Captur's asking price. It's a little bigger inside than its French rival, but cannot match the latter's interior tech. Also worth a look: The Ford Ecosport. It has been a popular model in terms of sales for the Blue Oval and has an excellent engine in the form of a 1.0-litre turbopetrol. It is due for a replacement very soon, though. 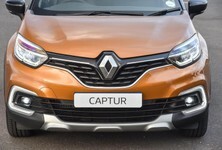 Compare the Renault Captur DCI with its rivals here! Renault South Africa calls this the (very mildly) facelifted Captur and you'll spot some visual changes at the front end (fresh LED headlamp clusters, for example), but overall its much of a muchness compared with the outgoing version, save for some material upgrades to the interior, which were most welcome. 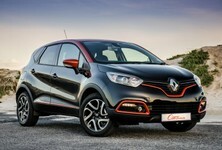 The big change is actually to the Captur derivative line-up itself, which gains an all-new Blaze entry-level offering. We are pleased that Renault carried the 1.5-litre turbodiesel engine over to this revised model. It's not the newest and most advanced engine and has been used in numerous applications such as the Duster and Clio, as well as some Nissan products. It offers up a paltry 66 kW, but the 220 Nm of torque more than makes up for it. It can be a tad lethargic at the bottom of the rev range, but it pulls strongly once you're past the 2 000 rpm mark. 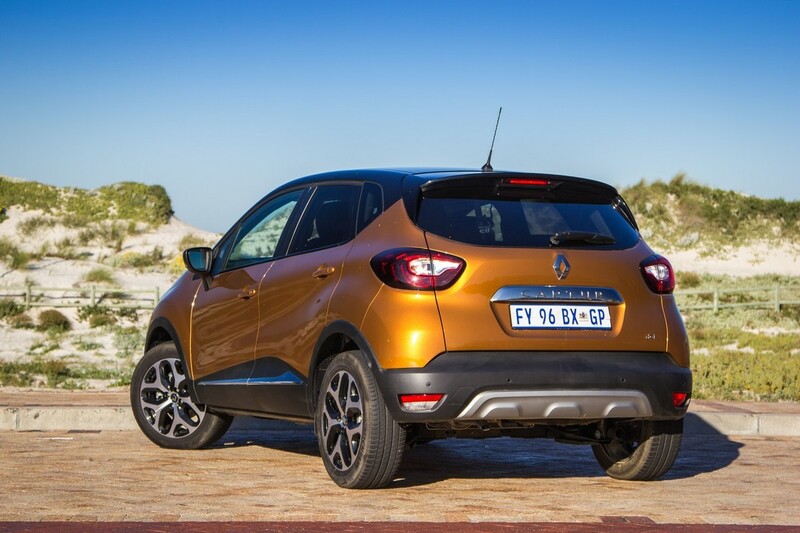 Renault claims a 0-100 kph sprint time of only 13 seconds, but in reality, the Captur feels relatively spirited in cut-and-thrust traffic. The motor is mated with a fairly slick manual gearbox, which we found effortless to use, which is just as well, because you have to shift smartly to keep that engine in its sweet spot. Much like before, the 1.5-litre turbocharged diesel engine delivers astonishing fuel consumption. The official claim is a bit far-fetched, but we tried our utmost to achieve close to that figure. We comfortably went under 5.0 L/100 km during the first few days and, as the test period progressed, the consumption dropped even further, before settling at a "personal best" of 4.3 L/100 km. It's a fantastic vehicle to consider if saving money at the pumps is a priority. 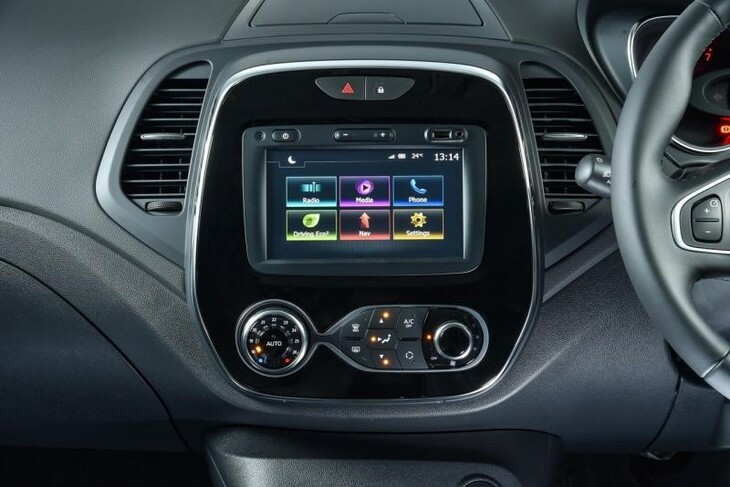 Some of the standard features of the Renault Captur: a comprehensive infotainment system and an automatic climate control setup. Renault's strategy of specifying its cars liberally is well established (even the top-end Kwid features satnav). 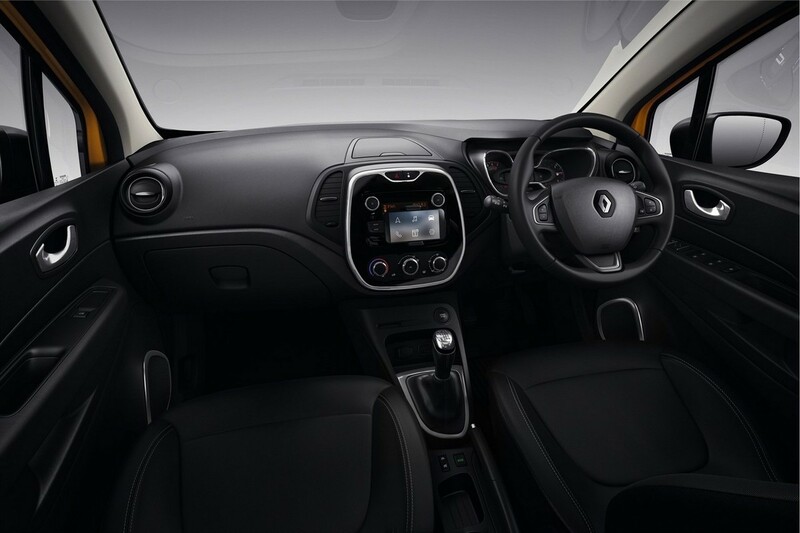 The Captur lacks for little in Dynamique trim and features a 7-inch MediaNav infotainment system that offers Bluetooth connectivity, radio, satellite navigation and a USB port. We found the system easy to use, the menus simple to navigate and connecting a phone via Bluetooth was simple. Other standard comfort features include cruise control (with speed limiter), climate control air conditioning and electric windows and side mirrors. Rear park distance control (with a reverse-view camera) is also standard. 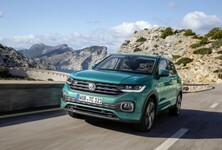 As a compact family car (as opposed to a compact hatchback, which is more accustomed to a commuter role) safety features are critically important. The Captur has a 5-star EuroNCAP safety rating, including ABS with EBD, brake assist, stability control, hill start assist, 4 airbags and a tyre pressure monitoring system. There are ISOfix child-seat mounts on the front passenger seat and rear outer seats for those who wish to fit baby seats. 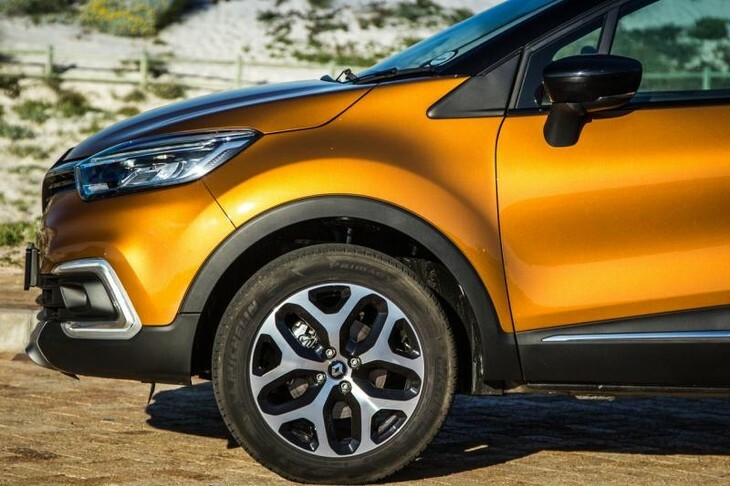 The Captur features a few nifty features to make the most of the car’s compact proportions. The luggage bay is split in 2 by a false floor and its capacity totals 377 litres, which compares favourably with rivals such as the Toyota C-HR (328 litres) and the Ford Ecosport (362 litres), but falls a bit short of the Hyundai Creta, which offers 402 litres. 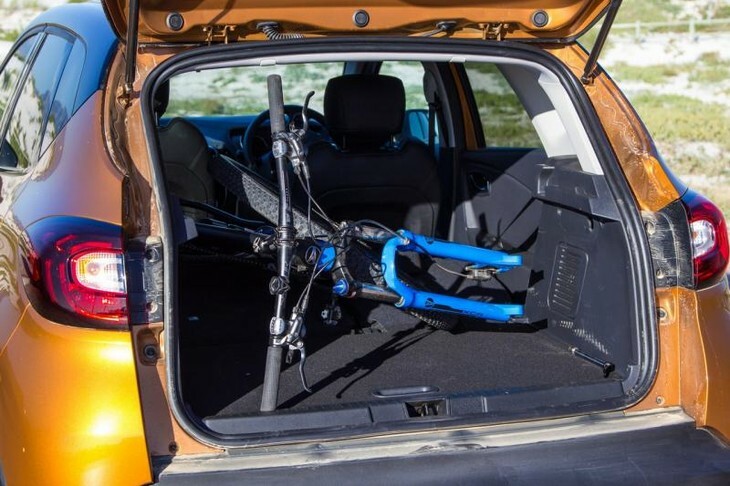 We put the extremities of the Renault's rear cavity to the test by loading it up with a 29-inch mountain bike. 1x mountain bike inserted into the depths of the Renault Captur luggage bay. As likeable as the Captur is, it's interior quality is, at best, middling. Sure, at the derivative's price point, the excellent spec makes up for it to an extent, but the cabin still features a few questionable panels and finishes. This would be acceptable in a rugged, utilitarian product such as the Duster, but for a product marketed as a stylish and fashionable runabout for upwardly mobile motorists, it's not quite up to spec. Also, while we're on the topic of quality, our test unit did have an annoying rattle which we couldn't pinpoint. 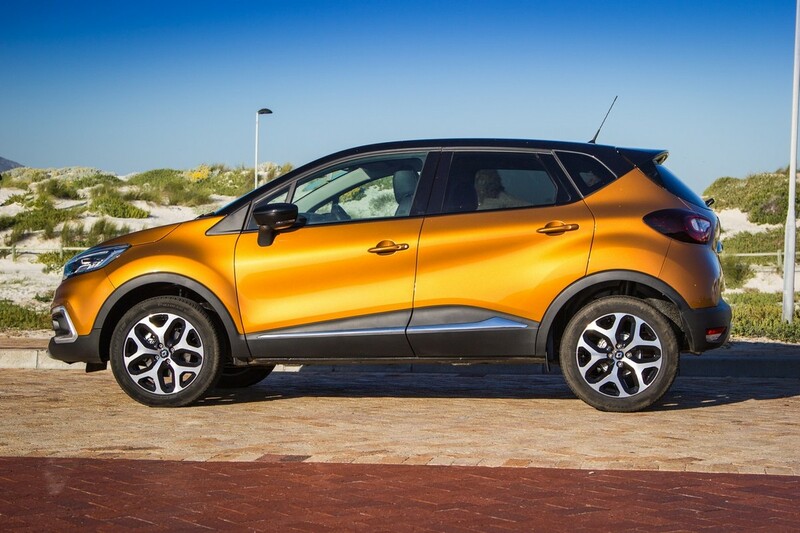 As we said, these are just minor black marks on the Captur's otherwise excellent report card. This facelifted Renault Captur derivative costs R304 900 and is sold with a 5-year/150 000 km warranty and 3-year/45 000 km service plan. Renault has adopted an unapologetic "don't-mess-with-the-recipe" attitude insofar as the packaging of the Clio-based Captur is concerned. On many levels, the Captur delivers what this market desires, which explains why it is a finalist in the 2017/18 Cars.co.za Consumer Awards, powered by WesBank. The turbodiesel-engined derivative is our pick of the range for sure, but for those who are anti-diesel, there is a decent 1.2-litre turbocharged petrol motor, available in both automatic and manual. 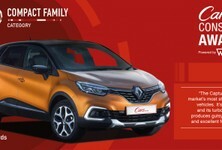 The Captur still rides and drives well, and the practicality solutions will win it favour with families. Our test team includes two mountain bikers and both of them heartily recommend the Captur in terms of loading up mountain bikes. The number of standard onboard and safety features is more than generous, and the TomTom-powered satnav does a fine job of alerting you to fixed speed cameras and accident hotspots. The Renault Captur is one of the more stylish vehicles in the segment. These wheels and paint colour add to the image! Thinking about buying a Captur?